Add your own personalized message or the bride and groom's names to these country wedding favors. Choose between mints or jelly beans for the filling. 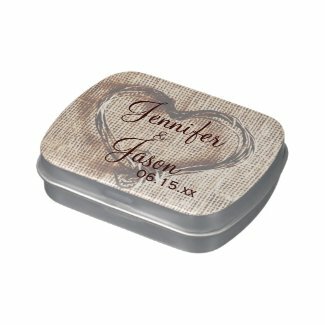 Great wedding favors for country weddings.